Groundhog Day tickles my funny bone. The whole idea of an oversize rodent predicting weather cracks me up. Maybe this is why I can’t let Groundhog Day slide by without a mini celebration! 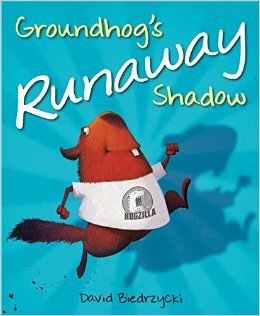 I recently read Groundhog’s Runaway Shadow by David Biedrzycki. The book, which is quite funny, is also a great tale of friendship and acceptance. Take a peek at a preview here. (Just click on the book cover.) And remember, you can find oodles of Groundhog-related activities, worksheets, songs, crafts, and even a snack or two here. These groundhog resources won’t cost you a penny! So what is your prediction? Do you foresee an early spring or six more weeks of winter? Cast your vote right here on the blog! Early spring, early spring, early spring! 6 more weeks of winter is my prediction! 6 more weeks of winter but would love it to be an early spring! Six plus more of winter???? More Winter! We haven’t had much here yet. I think it will be six more weeks of winter. In Hawaii, early Spring may mean sweet scented flowers for lei blooming earlier, and six more weeks of Winter may mean this unseasonable cold, read 68 degrees, sweater-weather lingering while the tropical sun shines overhead. I’ll take an early Spring. If you really think about it there is already 6 weeks between ground hogs day and the first day of Spring. I predict that we will have 6 more weeks of winter! ?